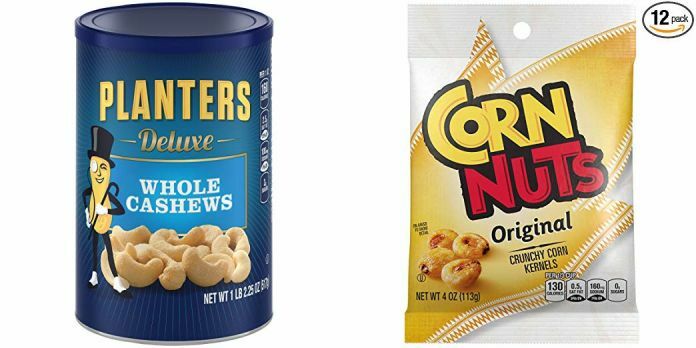 Today Only: Save On Planters Nuts From Amazon, Deluxe Whole Cashews 1 lb 2.25 Ounce Canister From Just $4.05 And More! For example these Planters Deluxe Pistachio Mix, Salted, 14.5 Ounce Canister are just $4.44-$4.96 shipped! 1 Comment On "Today Only: Save On Planters Nuts From Amazon, Deluxe Whole Cashews Canister From Just $4.05 And Many More Great Deals!" I’m seeing the “Planters Nutrition Wholesome Nut Mix Pack, 7.5 oz” for $13.99, not $2.33-$2.60.